Michael has over 35 years of diverse business management experience and has excelled at building successful channel programs. Most recently at Dell, Michael was responsible for Global Commercial Channel Operations, including onboarding of new partners, deal registration programs, and partner experience programs. Beach joins current board members, Clark Dircz (CEO at Axonom), Mike Belongie (COO at Axonom), and Ron Friedman (COO at Compart). "We welcome Michael to the board. He brings valuable hands-on experience, innovative ideas and strategies for Axonom to continue its success in the high-tech and manufacturing space." "I am very excited to serve on the Axonom board of directors. I look forward to help augment Axonom’s brand as the premier ‘revenue generating’ software provider for high-tech manufacturers." 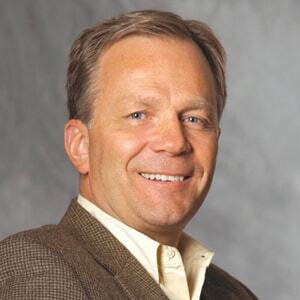 Michael Beach was instrumental in leading Dell Compellent (now Dell Storage Solutions) efforts in developing, promoting, and executing effective channel partner programs and strategies. With a 100-percent channel-assisted sales model, Beach supported the company’s global network of solutions providers by delivering training, business intelligence systems, tools and programs. “As a decade-long Axonom customer, Michael has a firsthand understanding of the importance that the Powertrak Product Configurator and other suite of high-tech modules bring to channel-driven companies,” says Mike Belongie, COO at Axonom. Case Study: Microsoft and Powertrak helps automate the way Compellent’s business partner network interacts and communicates with sales orders, support processes and personnel. Press Release: Michael Beach joins Axonom’s Board of Directors. Video: Michael talking about how Microsoft Dynamics CRM, Powertrak Product Configurator and Partner Portal helps Compellent service and support its channel partners. Follow us on Twitter and subscribe to our blog to learn more about the ways we’re building our business to help enhance yours.